It’s exciting to plan ways to renovate your residence. But while a beautiful home remodel can increase the value of your property and help make your dream house a reality, it can also feel like an overwhelming task. Below are some helpful tips to keep you stress-free while planning your project. Before hiring contractors or buying materials, determine the budget. Knowing how much you can spend ahead of time will relieve the stress that comes with investing more than you intended and will help you narrow down what you can actually afford. Then, set aside some of the funds as a cushion in case the plans change or any issues come up. When it comes to home remodeling, there are many details to think about. Will you choose carpeting or tile, stone, or wood flooring? What color schemes do you like? Are you a fan of intricate details, or are minimalist accents more your style? Figure out what your vision is, and make a detailed list of essential components and those you’d like but don’t need. Then, start by looking into the expenses and work associated with your must-haves. 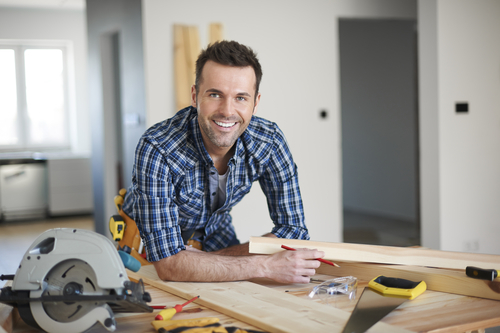 Choosing the right remodeling contractor is vital to ensuring your renovations go smoothly. Ask your friends, family, or neighbors to give you referrals. Look online for professionals in your area, and check out their reviews. Make sure whoever you choose has the proper licenses, bonding, and insurance for home remodeling. A quality team will be open to communicating with you and able to give advice on everything from the major decisions to the smallest details. If you’re looking for an experienced professional contractor for a home remodel, turn to InsideOut Renovations. Located in Lincoln, NE, they offer quality renovation services and have been helping area residents achieve their dream homes for over 10 years. Visit their website to send a message, and call (402) 474-0028 to schedule a free estimate.